I have to disagree with this. As a Commercial diver I have worked in every major offshore oil field in the world and every one of them are major fishery areas. The North Sea, The Gulf of Mexico, California, Alaska, The South China Sea, The Gulf of Thailand, The Persian Gulf and various areas in Indonesia and Australia. Seismic exploration is what helped to discover the energy reserves in all of the above areas. The Gulf of Mexico is one of the most seismically explored areas on earth and it is still one of the most productive fishery areas on earth. At no time have I ever seen or heard of any significant impact to the marine resources. I am not saying that there is no impact but if they were significant it would have shown up in the Gulf of Mexico and North Sea. "If you believe that we must "drill baby drill" to reduce our country's independence on foreign oil, then be aware that the known reserves on the US east coast from Florida to Maine, amounts to 1.9 billion barrels of oil". With more exploration on the US east coast these known reserves could increase greatly and yes I do believe that we must "drill baby drill". This country is being strangled and bled to death economically by not being allowed access to our plentiful energy resources. Mr. Lovgren also mentions the harm to marine mammals incurred by the navy's use of SONAR. The NRDC filed a lawsuit in an attempt to curtail that use. It failed and was thrown out of court because they could not produce any evidence to support the claim. If we were still fighting WWII the Germans and Japanese would have a field day with us today in legally trying to reduce the navy to blindness and severely restricting our access to our petroleum reserves. Perhaps we should think about in who's interest does these efforts really serve today? No one wants to see harm to the living marine resources but in my view the risk is more than acceptable in view of the strategic, economic and national security benefits to the nation. Finally, if your fishing in the Gulf of Mexico where do you go to catch fish? ---At an offshore production platform. Thank you for this opportunity to allow Directed Sustainable Fisheries, Inc. (DSF) to comment to you on behalf of many of our fishing industry clients about the BOEM considerations for using seismic testing to locate renewable energy sources beneath the ocean sea floor along the Mid-Atlantic Fishery Management Council (MAFMC) and South Atlantic Fishery Management Council (SAFMC) regions of the United States (US) Exclusive Economic Zone (EEZ). On May 25, 2012 the DSF sent a comment about seismic testing to Michelle Morin at BOEM. Please review that DSF comment again in addition to this newest DSF comment. After considerable thought and review of various written material, some dating back over a decade or more, it is the opinion of the DSF that seismic testing in the MAFMC and SAFMC EEZ should not be conducted ever again. The cost to the marine environment's living resources is unacceptable due to death and injury to endangered and threatened stocks, as well as rebuilding and healthy stocks of various marine life. Captain James Lovgren from the MAFMC region has submitted significant comments to BOEM and the public that demonstrates the harm that will come from such activities. A post on www.SavingSeafood.org speaks volumes about the marine destruction caused by seismic testing. The URL is located at http://www.savingseafood.org/opinion/james-lovgren-two-weeks-left-for-fishing-industry-to-submit-comments-on-seismic-te-2.html and BOEM should address those concerns before going forward with these terrible ideas. From written research it seems not only marine mammals will be harmed, but many healthy stocks of saltwater fish in the broad vicinity of these air gun blasts may be destroyed at various life stages. Use of seismic testing around marine protected areas (MPAs), coral habitat areas of concern (CHAPC) and around any known fishing reef areas should never be conducted. Evidence seems to indicate that a loss of catch per unit of effort (CPUE) upwards of 70% may be normal and damage could take months if not years to decades for the marine environment to repair itself. I will end this comment here and hope that the US government and BOEM chooses to stand down from seismic testing in the MAFMC and SAFMC EEZ, as well as state waters and not sacrifice the ocean's marine bounty to energy corporations that seek profit from destruction. AMERICAS SEA LEVELS RISING DIFFERENTLY? Do You Believe This? WASHINGTON (AP) — From Cape Hatteras, N.C., to just north of Boston, sea levels are rising much faster than they are around the globe, putting one of the world's most costly coasts in danger of flooding, government researchers report. On the matter of the June 2012 USGS study by Sallenger et.al regarding northeastern US coastal states sea level rise. The main stream newspapers and TV outlets that have picked up on this study are those same ones often with the same reporters that have for many years tried to convince us that greenhouse gases from human industrial activity are the root cause of the oceanic warming and the rise in sea levels. Their flawed coverage of this study bears their now familiar out-of-touch attitude of extolling even the smallest bit of global warming news even when there is no case to be made, while at the same time ignoring much more credible and powerful natural cycles of climate change. 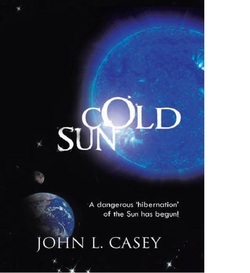 As I have repeatedly shown in my book “Cold Sun” and with research and press releases from the web site for the Space and Science Research Corporation (SSRC), the matter of the greenhouse gas theory as defined by the UN-IPCC and adopted as a ‘new religion’ by the current US and other foreign governments is “…the greatest international scientific fraud in the history of science.” Those studies and media reports that rely on the greenhouse gas effect as justification are therefore unreliable to say the least. This study does not rely on the greenhouse gas theory directly but it does compare their results to the UN-IPCC’s reports and in the process creates a false impression that the work from the UN-IPCC climate reports and their global climate models are reliable, when in fact they are routinely wrong and unreliable. On the specifics of the true status of global sea level rise, all interested parties are invited to the SSRC web site at www.spaceandscience.net where the currently posted press release from September 2011 clearly shows that global sea levels are not rising at the rate we have been told. Additionally one can read there that with the advent of the new solar hibernation and the global cooling now descending upon the planet, we are heading for an extended decline in sea levels for the next few decades. 1. The study is a thorough treatment of tidal gage measurements of sea levels from 1950 to 2009 in the relatively small area under consideration. The study authors are to be congratulated for such a refined study. In other words the study is well done as far as it goes. 2. The study does a good job up front of noting the wide variance of sea levels around the globe but then goes on to ignore the causes of these variances when drafting the studies conclusions. A significant untold story of sea level variance around the world is that sea levels are not only not uniform but in well known areas of the Earth’s oceans are regularly higher or lower than the global average and have been this way for decades without any connection to human greenhouse gas production. 3. The study does show an accelerated rate of sea level rise over the years of the study for a few northeastern state coastlines relative to the rest of the US and the globe. 4. The study shows that most of the other US coastal states where samples were taken actually showed declining to little rate change in sea levels which upon further examination are likely more than offsetting of the increase found in the northeast states noted in the study. The media decided of course to ignore this item. 5. Similarly, there can be no extrapolation of the sea level rise observed in the northeast to any other US coastal area because of a wide range of factors affecting the sea levels elsewhere. This is especially the case in Florida where media reports are particularly misleading in their obvious zeal to press the case for the myth of anthropogenic global warming. Extremist statements by global warming advocates that southern Florida will have to be evacuated are without scientific merit and are clear evidence of the distorted mentality of those who support man-made global warming at any cost because it’s what they want to believe and not because there is science to support it. 6. The study fails to objectively establish a cause and effect between human greenhouse gas emissions and the small stretch of US coastline that exhibited a higher than normal rate of sea level rise. Media reports that make this connection are either intentionally deceptive, unwarranted or both. Aside from this study, media reports have once again shown their historic bias found over the last twenty years in attempting to show human activity as the primary causative element behind sea level rise. 7. Because the study did not look into other potentially more influential causes for the sea level rise and because of the narrow range of data and geography under scrutiny by the study authors, the study cannot be used for any extrapolation of sea level rise or decline on a global basis. 8. The study results do not justify the establishment of any relationship between human greenhouse gas emissions and sea level rise within the constraints of the study nor do they permit prediction of future sea level behavior using the greenhouse gas theory. 9. Further, statements that global sea level rates of rise are on the increase over many years cannot be substantiated based on an objective review of the global sea level data available from satellite measurements - a far superior means of sea level rise determination than tidal gage measurements. These modern accurate data sets have shown that since 1998 the rate of sea level rise has been on a long term decline and not one of increased rate of growth as this study implies. 10. Projections of sea level rise from the study through the year 2100, the comparable UN-IPCC studies and exaggerated anthropogenic climate blogs and mainstream media outlets, simply do not reflect the reality of much lower global sea levels that is in place. While the isolated sea level rise found on the specific stretch of the northeast coast is interesting and demands a more exacting follow-on study, this particular study adds little to the overall question of the causes, effects, and future projections of global sea level rise, and in fact may cause some to make faulty assumptions regarding this important climate and geographical measurement. There is a larger issue buried between the lines in the emails that I have received from so many friends. Let me explain. After five years of providing the media with the facts of natural cycles as the primary determinants of climate change, and after establishing a very public track record for major climate change predictions that is unmatched by the UN-IPCC, NASA, and NOAA, I have found the media simply are either not interested in the truth, are uninformed, or they know it and have decided not to disclose it. We should not expect these leopards to change their spots. While it would be a great miracle to wake up one morning and read in our morning paper that all journalists and TV announcers have decided to tell the truth about climate change, it is a hopeless dream. Our only course at this point must be one of spreading the truth via the internet, using public forums and open minded organizations, and electing officials at the federal, state and local level who are fundamentally honest people who in turn demand honesty on all matters. We can no longer expect the media to tell us the truth. They have had their chance. The US main stream media has demonstrated they cannot be converted. Scientific integrity in the media has long since died on the issue of climate change and many other important issues. For any meaningful change in the media to happen they must now be reborn. 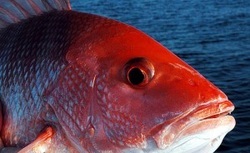 FDA LAPSE IN SEAFOOD SAFETY! Fewer than half of U.S. seafood firms are following Food and Drug Administration safety standards to ensure Americans don't get bad fish, says a scathing new report by congressional investigators. The FDA has made progress in improving seafood safety since instituting strict new regulations in 1997, but large gaps remain, the report says. Over half of FDA inspections of domestic seafood processors found serious violations, yet the government didn't move quickly to make those companies shape up, the investigators found. We all think we have it bad - the stories never stop in bringing the MAP to life! Florida they have gone after the Red Snapper fish industry claiming the numbers are down, closing down the commercial fisheries, taking the people's property away from them in South Florida, County governments buying up all the land they can even though it is part of the St. John's Water Management and no one would ever be given permission to build on it, refusing to allow us to drill for our Natural Gas - California, Idaho, Oregon and Montana letting loose all the wolves in Yellowstone Park in 1995 and now they have become over grown and are killing livestock, pets, people and the Federal government chooses to turn a blind eye and deaf ear to the people - California they are proposing destroying 4 perfectly good dams, flooding out hundreds of families claiming the dams are preventing the salmon from being able to get back up stream to lay their eggs even though they have been doing it for years. FISH OR MAN? GUESS WHO WON! AND WE PAID FOR IT WITH TAX DOLLARS! Environmentalists have persuaded the Dept of Interior to remove four hydroelectric dams on the Klamath River. These dams not only provide clean, green energy to the Klamath community, they sustain area ranches and farms with continual access to water. But the fish! We must always put fish ahead of people! It seems that once upon a time, salmon would migrate upstream the Klamath River to spawn, a process that has become interrupted by the dams. For several decades, ranching and farming families have relied upon the steady stream of not only water, but also renewable energy provided by the dams. Destroying the dams would destroy these people’s livelihoods. Facts Pertaining to the Klamath River and the Propsed Distruction of 4 Dams In CA! FACT - The California Department of Fish and Game, in their July 2004 Scientific Report on the August-September 2002 Klamath River Fish Kill, implied that the Klamath River Dams are the most desired mitigated criteria to protect the annual salmon and steelhead migration habitat for safe river passage to lay eggs sustaining future generations of fish sustenance takes. FACT - Dam removal will expose Shasta People's, Burial, Spiritual and Ceremonial grounds and villages which are currently protected by reservoirs behind the dams that are earmarked for removal. By exposing said sacred sites, the KBRA/KHSA agreements will lay waste to Shasta Human remains to be lost or horrifically put on display. 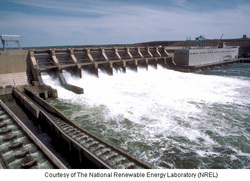 FACT - Hydro-electric energy is 10 times cheaper than wind energy, and 20 times cheaper than solar. FACT - Hydro-electric energy adjusts output almost instantly to compensate for peak demands. Wind and solar can not. FACT - Klamath Basin Restoration Agreement transfers fishing rights from the Shasta People to neighboring Tribes without due process or cooperation and coordination with the Shasta People. FACT - The U.S. Departments of Agriculture, Commerce, Energy and Interior, and their agents, have neglected to cooperate and coordinate with the Shasta People during the planning of this proposed Klamath River dam removal and ancillary activities. Today, anyone with a little working knowledge of the United Nations Agenda 21 "Plan for the 21st Century" can see virtually every federal agency's efforts to incorporate Agenda 21 principals into domestic policy actions that restrict access to natural resources, despite the fact that Congress has never approved it. The fishing industry has not escaped the severely restrictive effects of Agenda 21. Since federal fishing regulations were changed starting in 1996 the American fishing industry has been devastated by Agenda 21 based regulations. Correspondingly, seafood imports from countries such as VietNam and China have risen dramatically to represent 84% of the seafood American's consume. The President's Council on Sustainable Development (PCSD) ultimately issued recommendations on implementing the principals of Agenda 21 into American domestic policy. For the fishing industry, a recommendation was made to implement an "allocation system in which a limited number of fishermen would be allowed to work". The "Catch Share" allocation system is what Dr. Jane Lubchenco, Head Adm. of NOAA/ National Marine Fisheries Service has made a "Top Priority" to implement. 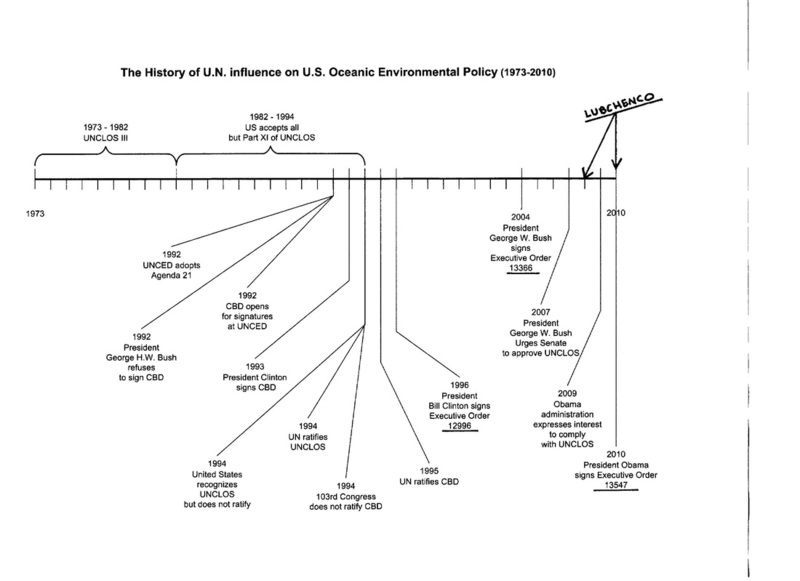 Interestingly, Dr. Lubchenco was a Vice Chair at EDF (Environmental Defense Fund) prior to being Obama's pick to run NOAA/NMFS. NOAA, under the leadership of Lubchenco has taken this call to limit the number of American fishermen to heart. The New England fishing industry currently is suffering the effects of "Catch Shares" which has motivated the Gov. of Mass. to declare an "Economic Disaster" and request financial aid for fishermen after Catch Shares idled a large part of the fishing fleet based in New Bedford and Glouschester. Thus, we have the prior results of Dr. Lubchenco's "Top Priority" to transform the American fishing industry to Agenda 21 "Catch Shares". Read how they used our tax $$ to ruin the fishing industry in this country!